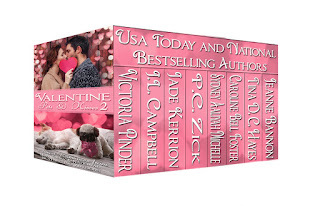 Today I want to introduce a second boxed set, geared for readers who want to celebrate the love story and include a beloved pet. This set has 8 stories that will leave you breathless. Cupid worked overtime to deliver this Valentine's Day treat. 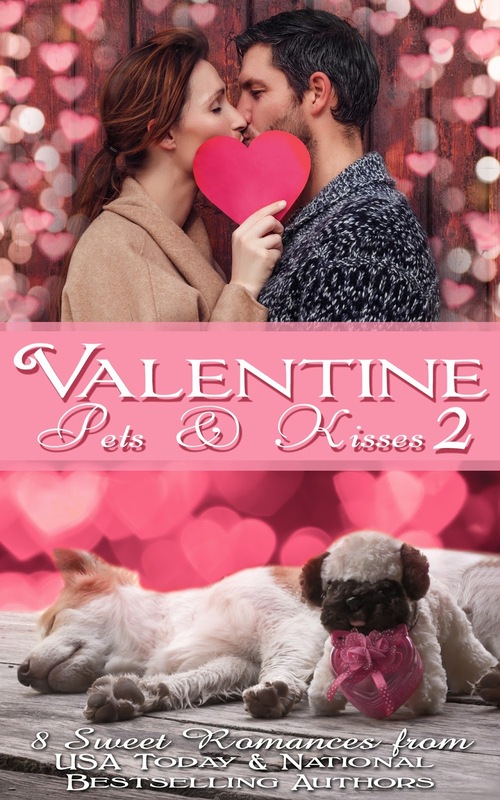 Cuddle up with a heartwarming collection of dog tales, kitty and horse stories, and true love with these all-new sweet romances penned by USA Today and international bestselling authors. A retired CIA spy returns to his hometown and finally works up the nerve to go after the girl he’s dreamed of since high school. Her beloved dog and the target on her back complicate this Valentine’s Day. Heartbroken single parents, Melanie Peterson and Bryce Nevers, aren't looking for love. Cupid has other ideas plans when he turns things upside down after Bryce’s goofy dog blasts through Melanie’s office, leaving behind mayhem and a reminder that love can show up in unexpected ways. High-flying corporate lawyer, Nicole Lefton, has neither the space nor time for distractions, but a car accident saddles her with the unexpected company of a large dog and the attentions of a handsome vet. Lawyers arguing a case on opposite sides disagree on most everything, except the love they both feel for their dogs, a Boston terrier and a Jack Russell terrier. Loneliness and their dogs bring them together in a surprising way on Valentine’s Day. 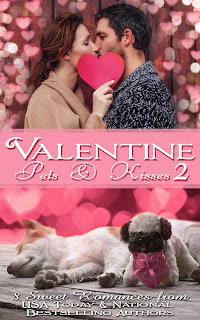 A year later, Noah, Callie, and their little dog Nip are in relationship bliss, but a Valentine's Day weekend in Los Angeles stretches their loyalties. Is their bond strong enough to survive the celebrity wedding of the century? Stumbling across an abandoned cat and her kittens, Mateo and Willow have to embark on a crash course of parenthood in more ways than one. Kaylee fears losing the two guys she loves with all her heart: Carter to another woman and her Yorkie to his previous owner. Jack has a tried and true system for determining whether he will continue to date a woman. He brings his dates home to meet his dog, Phil. But none have yet to pass the Phil Test. They all sound great, Victoria. I can't wait to read them. All the stories sound wonderful, Victoria!